Stylish Pair of Twin Light Gilt Heavy Gauge Ormolu Table or Mantle Candelabra in George III Style, last quarter of the Nineteenth Century, of French origin. 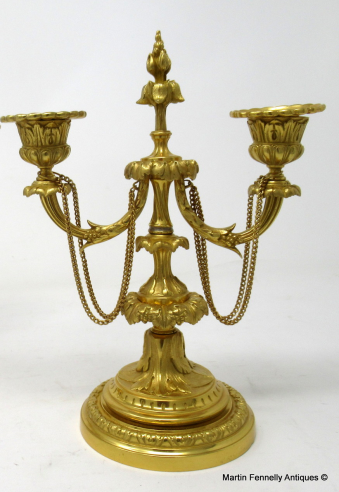 Each with central rococo style finial and two leafy scroll outswept arms above a central naturalistic stem ending on an ornate circular dome shaped base. 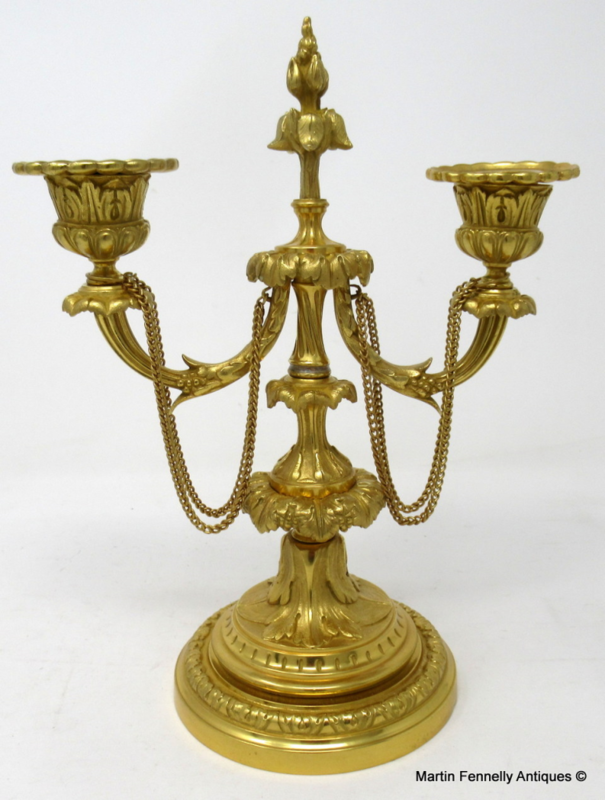 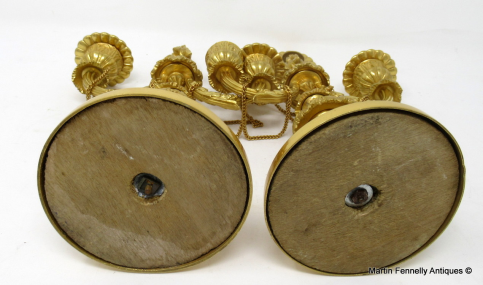 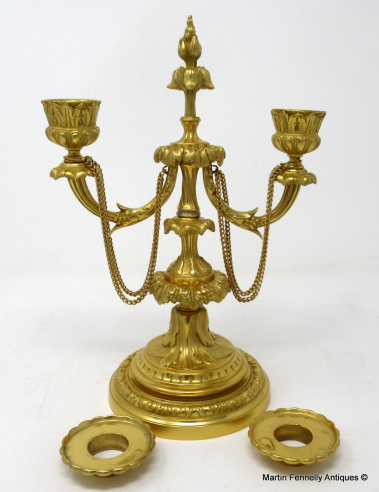 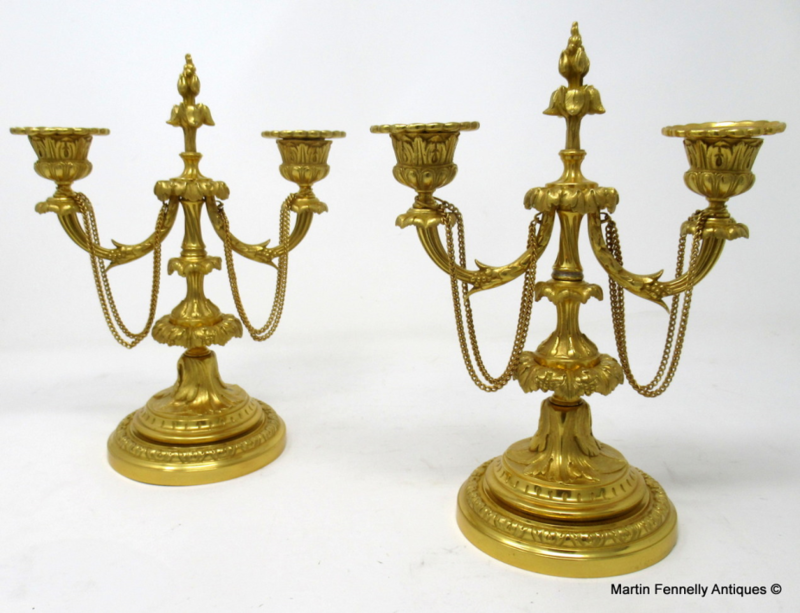 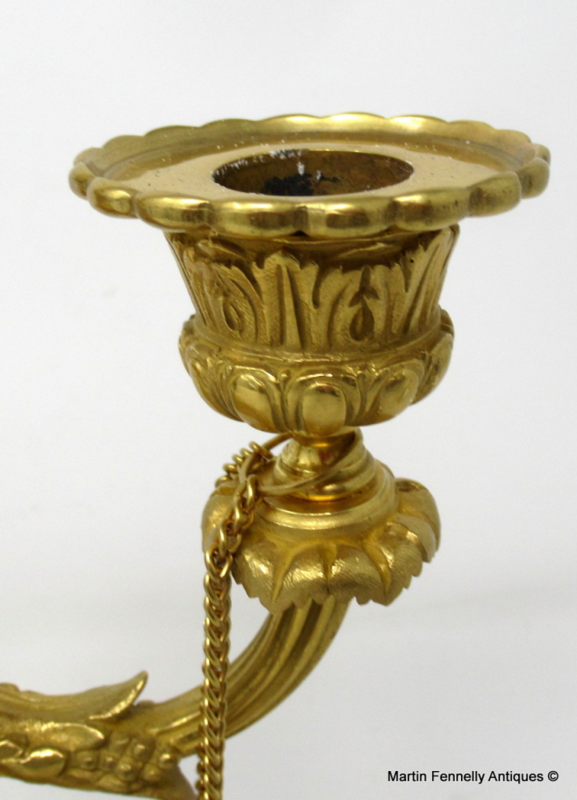 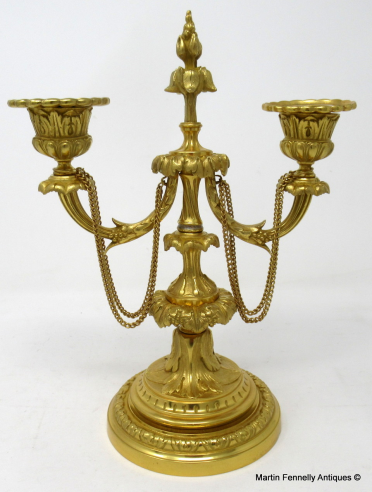 Condition: These pieces have been professionally re-gold plated, original firm fitting drip pans to each candleholder. Retaining their original wooden bases underneath.